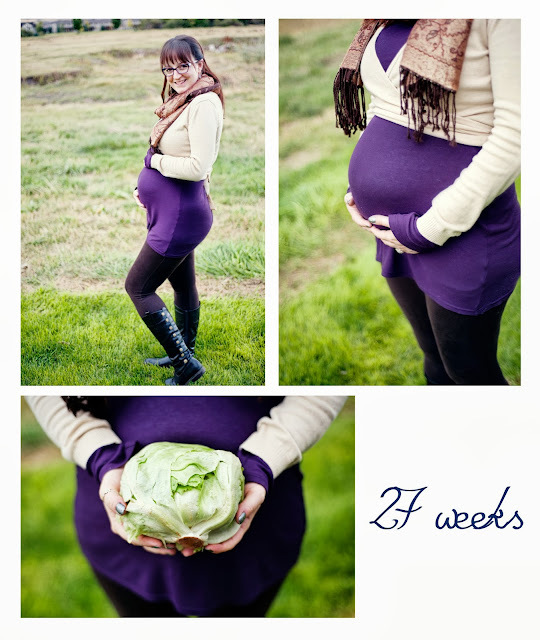 This week the little one weighs almost two pounds, or about the size of a head of iceburg lettuce. Pumpernickle is around 14.5 inches long and is regularly blinking his or her eyes. This week has been exciting so far. My amazing sister Maleea is planning our baby shower/gender reveal party and she finally got to find out what gender the baby is this week to help facilitate the planning. Our friend Amanda is starting a brilliant business sending baby shower in a box/gender reveal in a box to friends/family of the expecting parents (I'll put up a link to her website whenever it's ready). She sent my little sis a box full of items that revealed which gender the baby is. It was amazing (so I hear, I obviously don't know the details as I am waiting until the shower to find out) and my sister LOVED it. Yay! Only about two weeks until I get to finally know if Pumpernickle is a he or a she. Can't wait! But for now I'm content to just feel him or her rolling around in my tummy.